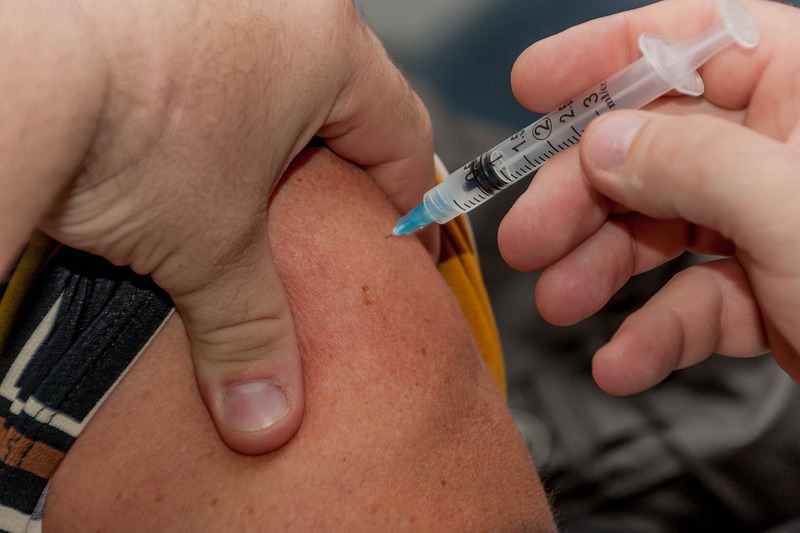 MILWAUKEE (CN) – The U.S. Justice Department sued a Wisconsin county on behalf of a woman who claims she was forced to get a flu shot to keep her job at a county-owned nursing home, in violation of her Christian beliefs. According to the lawsuit filed Tuesday by the federal government in Milwaukee federal court, Ozaukee County has a policy requiring all employees seeking religious exemption from an annual flu shot to provide a written statement “with a clear reason and explanation” from a clergy member – otherwise, refusal to get the shot is considered a voluntary resignation. Those who get an exemption are required to wear face masks while working. Barnell Williams, who worked as a nursing assistant at Ozaukee County’s Lasata Care Center, complained to the Equal Employment Opportunity Commission in October 2016 that the flu-shot policy amounted to religious discrimination. The EEOC conducted an investigation and referred the case to the Department of Justice, which sued the county under Title VII of the Civil Rights Act. The federal government argues in its seven-page lawsuit that the county-owned nursing home’s policy fails to reasonably accommodate religious beliefs. “The Center is a public, non-religious employer. The requirement that the letter be from a clergy leader was not necessary for the Center’s business purposes and was not related to the Center’s business operations,” the complaint states. She also told him she didn’t have an affiliation with a church or organized religion and therefore had no way to obtain a letter from a clergy member. Instead, she prepared a self-written letter as an alternative that explained her Bible-based rationale for her religious objection to the flu shot, the complaint states, and was willing to have close family members and friends confirm her religious faith and practices. Williams felt threatened by immediate termination, the government’s lawsuit states, and reluctantly agreed to get the flu shot but “became emotionally distraught and cried uncontrollably” upon receiving it. “Williams suffered severe emotional distress from receiving the flu shot in violation of her religious beliefs, including withdrawing from work and her personal life, suffering from sleep problems, anxiety, and fear of ‘going to Hell’ because she had disobeyed the Bible by receiving the shot,” according to the complaint. Ozaukee County’s nursing home allegedly changed its policy to no longer require a letter from a clergy member for an exemption to the flu shot after Williams filed her charge with the EEOC. The Department of Justice wants a judge to declare that by unjustifiably refusing to accommodate Williams’ religious beliefs, the county discriminated against her on the basis of her religion. It also seeks a damages award for Williams’ alleged pain and suffering. “When employees’ religious principles conflict with work rules, they should not have to choose between practicing their religion and keeping their jobs if a reasonable accommodation can be made without undue hardship to the employer,” Gore said. “Requiring employees who work at a nursing home to receive a flu shot is not religious discrimination, it’s an issue of public health and safety. The county works with its employees to accommodate religious beliefs, but this particular employee waited until the last day to request an accommodation and failed to present evidence of a sincerely held religious belief,” Stadler said.